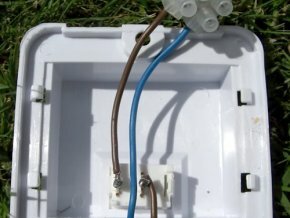 If you often stay on caravan sites without electric hook-ups it is a good idea to think about converting your halogen caravan lighting to SMD (surface mounted device) LEDs (Light Emitting Diodes). SMD is the acronym for surface mounted device, which refers to an electronic device mounted directly onto the circuit board. SMD LED lighting up the caravan. In the case of light emitting diodes (LEDs), this is usually a small board with multiple LEDs mounted to produce a light source equivalent to a larger lamp. 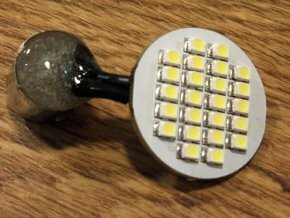 Fitting an SMD LED to a standard light bulb connection. The SMD LED mounted to a standard bayonet lamp fitting, seen from behind. For a given light output SMD LEDs can consume 90% less power than traditional light lamps. This means you can run your entire lighting system off your leisure battery and it will last significantly longer than with halogens. The wiring behind the SMD LED fluorescent conversion. In addition, LEDs don’t heat up as much as halogens so you can handle them even when they have been on for a few hours. This makes them very safe around children, particularly when placed near to bunk beds. They produce three different shades of white light, ranging from a clinical white to a warm white, enabling you to choose which one best suits your caravan. Most SMD LEDs have a reported life of 50,000 hours. The wattage of a lamp is displayed on the box it comes in. This shows the amount of power that the lamp consumes, it is not a true indicator of the light produced. Light is measured in lumens (the quantity of light perceived by the human eye). When lighting is quoted in lumens it refers to the total amount of perceivable light power produced. If you need to know the current of the lights measured in Amps, simply divide the wattage by the Voltage. Thus 100 lumens with a 12V lamp requires 0.84Amps, while a similar light output from LEDs requires 0.15Amps. 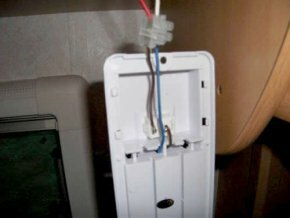 First you will need to determine the wattage, luminosity and lamp type of your current caravan light fittings. We’d expect your lamps to be G4, MR11 or MR16. If you have any doubts, your local hardware store should be able to help you with identification. G4 is a ‘naked’ lamp with two metal contacts; to replace this you will need a naked SMD LED with equivalent luminosity. These can be rear or side mounted so check your existing lamp fitting carefully. MR11 and MR16 lamps use sealed reflector casings. 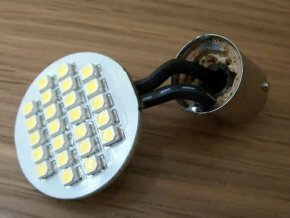 Your SMD LED replacement will need to have a similar casing to match your socket. In addition, if you have a dimmer switch in your caravan please make sure that you choose SMD LEDs that are dimmable. 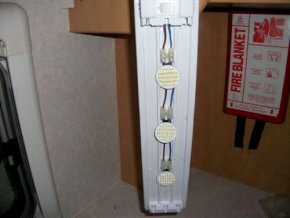 Standard SMD LEDs won’t work with dimmers. Overall, check your caravan light specifications carefully. If you don’t choose the right replacement SMD LED they may not work at the voltage supplied by your caravan. Take care when you change the lamps over. Disconnect the power before you start and be careful with the metal pins, they are not designed to withstand much pressure. 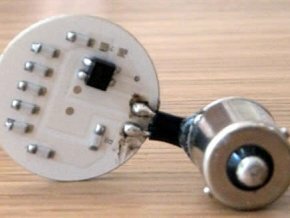 Most SMD lamps have full-wave rectification circuits, so most are not polarity-sensitive and can be connected either way round. The rectification circuit is noticeable by a small square black component on the rear side of the circuit board, and if this is not present then the lamp is polarity sensitive. 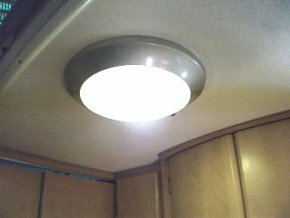 You can buy your replacement caravan LEDs online or in many hardware stores. We’d always recommend trying a demo model or purchasing a single unit to check that it fits and works before you replace all of your lighting.